T he ConWeb really, really hates author Dan Brown. Dan Brown, the author of "The DaVinci Code," is back with another blockbuster anti-religion novel, and CBS "Sunday Morning" rolled out the red carpet on Oct. 1 to honor him and his massive commercial success. The segment began with what he called his "fortress of gratitude" — his house loaded floor to ceiling, over several stories, with bookshelves ... stuffed with copies of Dan Brown's own books. For all the folderol about "fake news," the media never found it necessary to challenge the veracity of Brown's scurrilous charges he posits as facts in his novels — that Jesus married Mary Magdalene and had a child; that the Catholic Church took the human Jesus and cynically invented him as a god at the Council of Nicaea in 325; or those nonexistent "monks" in the Catholic group Opus Dei. They spent hours on ABC, CBS and NBC elaborating on Brown's "intriguing" theories, when what they were enthusiastically broadcasting was an atheist version of birtherism. 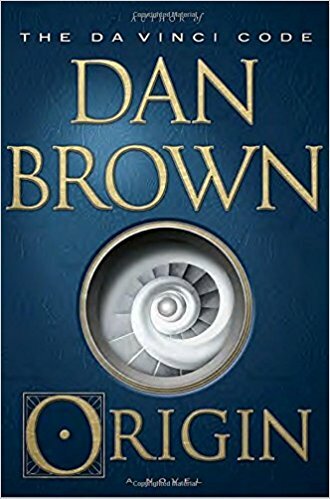 Brown's new novel, "Origin," once again features his hero, Harvard professor Robert Langdon, who tries to learn what discovery computer genius Edmond Kirsch was prepared to reveal that (as The Washington Post explains) "boldly contradicted almost every established religious doctrine, and it did so in a distressingly simple and persuasive manner." So Bozell and Graham are mad that Brown presents fictional things as fact in a book of fiction? Isn't that the very definition of fiction? How do I say this politely? Dan Brown is a fool. The author of “The Da Vinci Code” may have sold 200 million copies of a novel based on enormous lies about the history of Christianity, but that does not mean he has wisdom. Farah goes on to complain that Brown "did his best to make news about his latest release, “Origin,” by explaining why the Creator of the universe will not survive science, which, of course, is another way of saying God never existed except in the imaginations of man." The same day, WND gave a platform to various and sundry fellow travelers to trash Brown. Birther pastor Carl Gallups, for instance, declared that “Dan Brown has been used as a tool of Satan for many years" because "A big chunk of his life has been dedicated to the task of minimizing and marginalizing the pure biblical message of salvation in Jesus Christ.” WND managing editor David Kupelian groused that "Brown has sold 200 million books, which I guess says something about the low state of ‘consciousness’ in today’s world" -- which sounds a little like professional jealously on Kupelian's part, since his books haven't sold 1/200th of the number Brown's have. None of these writers, by the way, offer any proof whatsoever that they have read Brown's new book, let alone "The DaVinci Code. "Which means they're just bashing an undeniably popular author without knowing what they're talking about. 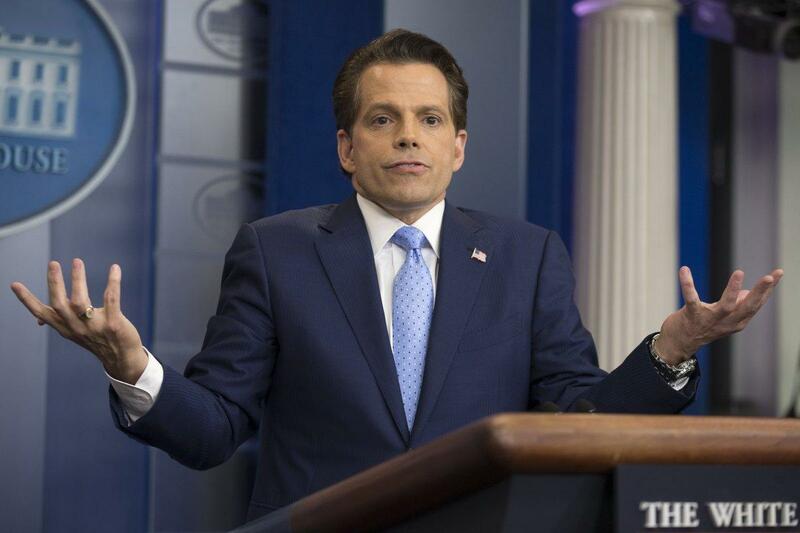 The abrupt departure of Anthony Scaramucci as White House communications director after just 10 days on the job meant that the digital ink was barely dry on ConWeb tributes to his arrival. Washington thinks it can beat anybody, even these brash, rude New Yorkers. These New Yorkers get things done. I like their chances. Cave offers no evidence that Scaramucci or anyone else "correctly identified" Priebus as a leaker. Anthony Scaramucci now walks with President Trump. We are better off for it. Whenever I reached out to Mr. Scaramucci he was always there for me. He helped to make my radio show on ESPNDeportes a better and more interesting show. Selfishly I will miss him. I will miss his knowledge in sports that he brought to the show. I will miss how he could give and take fun-loving banter with Reggie Jackson. I know how busy he will be but I hope he can find the time to come on the show again. Anthony really was a big fan favorite on ESPN "Impact." Even though he was always on demand at Fox and CNBC, he always found the time to come to our show and have fun with us. He never saw us as the little guy. Thank you Anthony Scaramucci, we will always be grateful for that. I know our country needs you more. It looks like Scaramucci will suddenly have plenty of time to appear on Negron's show. The Center for Public Integrity has issued a report claiming to detail how "journalists" have donated to HIllary Clinton's campaign far more than to Donald Trump's. Needless to say, the ConWeb jumped right on it. WorldNetDaily's Bob Unruh highlighted the finding that "journalists so far in this election season have given 27 times as much money to Hillary Clinton as to Donald Trump." Accuracy in Media's Don Irvine similarly promoted the findings, "as if we needed any further evidence that the liberal media are in the tank for Hillary Clinton." And Jason Devaney of Newsmax states that the report claims "people working in the media — which includes journalists, reporters, news editors, and TV news anchors — are opening their wallets for the former first lady." But if you read the report closely -- which the ConWeb has no interest in doing -- it's obvious that CPI is using an overly broad definition of "journalist." For instance, all four ConWeb reports highlighted that former ABC anchor Carole Simpson has donated $2,800 to Clinton. What CPI and the ConWeb don't make clear: Simpson left ABC in 2006 and currently works as a college professor. Insisting that Simpson continue to be held to the standards of a job she has not held for a decade -- and CPI offers no evidence that Simpson made any political donations while employed as a journalist -- is simply dishonest. CPI also touts the donations to Clinton by talk show host Larry King, highlighted as well by AIM, Newsmax and the MRC. But has anybody ever considered King to be a "journalist"? No. More dishonesty. In fact, the first example of an actual working journalist is the New Yorker's Emily Nussbaum. But she's a TV critic and rarely covers news or politics. But most of the working journalists in hard news that CPI cites as making political donations are employed by small local papers, not large media organizations, which generally prohibit reporters from making poltiical donations. But because this dishonesty plays into the hands of the right-wing narrative about the evil "liberal media," the ConWeb will stick with the clickbait headline and ignore the dubious contents. 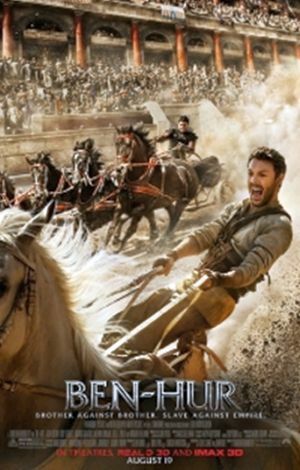 A few weeks back, we documented how both Newsmax, CNSNews.com and the Media Research Center were all shilling for the new remake of "Ben-Hur" and touting its religious bona fides, in line with the producers' aim to make the film appeal to a religious audience. In an Aug. 15 article, Rusty Wright -- "an author and lecturer who has spoken on six continents" -- rehashed the background of the book that inspired the film and asserted that "'Ben-Hur’s' poignant depiction of revenge, reconciliation and redemption generates a powerful message for today’s world filled with racial and religious violence, cop killings and more." George Escobar, who runs WND's film division but is grandiosely described in the headline as a "top film executive," lamented in an Aug. 20 article that "we are in an age of colonization in our politics, theology and mass migrations, fought most visibly within inner-city plantations" before giving the film a gushing review: "Probably more than at any other time, a film such as 'Ben-Hur' is needed. Does it deliver the power and drama of its predecessors? Mostly. Is it relevant for our time? Definitely. Should you go see it? Absolutely." The reality, however, is that the film is tanking -- badly. The film made only $12 million its opening weekend and to date has made a little over $20 million in just under two weeks -- very bad for a film that opened wide (3,000+ screens) and cost $100 million to make. Even counting foreign revenue, it's highly unlikely the film will recoup what it cost to make during its theatrical run, making this movie "the bomb of the summer." YOu won't read about that at WND, CNS or the MRC, though -- none have seen fit to mention the "Ben-Hur" bomb on their front pages the way they promoted the film. The mainstream media is doing such a fine job of heaping coals on the new Mark Burnett and Roma Downey epic, "Ben-Hur," that it might want to be careful. The intensity of their vituperation might just induce movie-goers — particularly faith-oriented ones — to go see what all the fuss is about. Rolling Stone branded the film "a remake disaster of biblical proportions." ABCNews.com dismissed it as "a miscast remake that will only appeal to a specific [read Christian] audience." Others were less kind. If film lovers ignore those reviews and go anyway, however, what they'll see is a picture far different from the one being portrayed in the media as a flop — which explains why some are extolling it. "I love 'Ben-Hur,'" host Glenn Beck remarked on his program recently. "It is great." Patten made excuses for producers (and Christian-media faves) Burnett and Downey, whom he baselessly proclaimed to be "Hollywood's No. 1 power couple": "If the film's director and producers are guilty of anything, it is their soaring ambition in trying to boil down a story that took three hours and 32 minutes to relate in the 1959 version — clearly too long for modern audiences – to a little over 2 hours in the remake." Patten also claimed that "Evangelicals trust Burnett and Downey to handle their cherished biblical narratives with care," ignoring the fact that "Ben-Hur's" main story -- a revenge story involving a Jewish prince forced to become a slave and a climactic chariot race -- is not a "cherished biblical narrative"; it's from a novel first published in 1880. In the book, the crucifixion of Christ is a parallel narrative to the story of Judah Ben-Hur. In May, the Southern Poverty Law Center published a list members (as of 2014) of the Council for National Policy, a secretive group of right-wing power players in politics, culture and the media. The CNP enforces a "Fight Club"-style omerta in which members are not to acknowledge that they are in fact members, and far-right extremists mingle with more mainstream conservatives. The group has been a behind-the-scenes force in coalescing right-wing support for Donald Trump's presidential campaign. Thus, it's no surprise that the ConWeb is well represented in the CNP's membership among media members. Needless to say, WorldNetDaily's Joseph Farah and Jerome Corsi are members of the group, with both being on the CNP's board of governors and Farah a member of the "Gold Circle," which sounds like some sort of super-elite faction within the group. Farah has been a longtime member; we've documented how Farah reported on a CNP meeting in 2007 despite the fact that the article had no byline, deduced from the fact that he's a CNP member, WND was one of the few media organizations in attendance, and he is presumed to have sought CNP permission to write about the meeting before doing so. If we were as conspiratorially minded as Farah and WND, we could presume that the presence of bigwigs from WND, Newsmax and CNS means that the "news" organizations engage in some level of coordination when it comes to determining their editorial agendas. But we'll never know, because not only have Farah, Corsi, Ruddy and Jeffrey continued to keep their CNP membership a secret from their readers, their websites have reported nothing on the CNP -- let alone the leak of the membership list -- in the month and a half since the SPLC's story came out. Which means the ConWeb has put maintaining the omerta over reporting facts. We've detailed how the ConWeb plugged the heck out the new film "13 Hours," about the attack on Benghazi, and praised it for functioning as "rightwing propaganda." But the ConWeb won't tell you one key thing about it: how well it did at the box office. In its opening weekend, "13 Hours" -- which cost $50 million to make -- made just $19.2 million, despite having the action-film credentials of Michael Bay behind it and despite a wide opening on more than 2,300 screens. This past weekend, the film took in just $9 million. That does not bode well for the prospects of making back its production costs. Forbes thinks that one reason the film is tanking is that it's "trapped by its inherently political origins" and how the film was marketed to conservatives and the right-wing media outlets who praised it as a way to torpedo Hillary Clinton's presidential campaign. Remember the headline of Drew Zahn's WorldNetDaily review of the film was "How can Hillary possibly win after this?" Forbes adds: "In short, the film arguably wouldn’t have existed save for the controversies surrounding the 2012 terrorist attack, but it was the existence of said controversies that prevented the film from crossing over beyond the would-be converted." 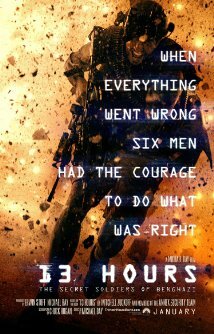 You won't read any bad news about "13 Hours" in the ConWeb, however. WND, Accuracy in Media and NewsBusters have all censored news of the film's tanking. CNSNews.com published the usual Associated Press stories on weekend box office takes, one of which noted that the film "failed to make a large impact." But they were never given a link on the CNS front page, which means they may as well not have been published at all given how unlikely the typical CNS reader is to read anything on the site that didn't appear on the front page. The film's flop hasn't stopped the ConWeb from promoting it, however. The Media Research Center's Tim Graham whined in a Jan. 18 NewsBusters post about how a Washington Post film reviewer told the truth about the film's political agenda. Even though that post was written after the opening weekend numbers came out, Graham made sure not to mention that his beloved film tanked. That's ironic, because the MRC has a history of mocking paltry box office takes when they involve films they don't like. The ConWeb is so happy that the new Michael Bay film "13 Hours," about the attack on U.S. diplomatic facilities in Benghazi, Libya, because it reinforces the right-wing -- read: anti-Obama and anti-Hillary -- narrative on Benghazi. Dreew Zahn pretty much gives the game away in his Jan. 17 WorldNetDaily review of the film, proudly proclaiming it to be "rightwing propaganda" and insisting that the film "doesn’t mispresent what actually happened in Benghazi." The headline of the review gets even more to the point: "How can Hillary possibly win after this?" CNSNews.com serves up a review of the film by former soldier -- and, more relevant, an employee of the right-wing Heritage Foundation -- proclaims how the film is "highlighting the Obama administration’s inaction that directly contributed to the loss of four Americans." Wood goes on to note that one of the Libyan terrorists who attacked the facility had been imprisoned at Guantanamo, adding: "Various reports cite a recidivism rate of those released from Guantanamo of nearly one-third, surely something to keep in mind as Obama seeks to close the detention facility before the end of his final year in office." In fact, actual confirmed recidivism is about 17 percent; Wood makes sure not to explicitly point out that the Libyan terrorist in question was released from Guantanamo under the Bush administration. The Media Research Center, meanwhile, whined that anyone dared to criticize the film. Christian Toto asserted in a Jan. 16 NewsBusters post that the movie's being bashed because it depicts "depicting heroic military types risking their lives against people from a foreign country" and because "the men in the movie are men." Toto also makes sure to get his right-wing talking points in on the incident: "We’re mad because Hillary Clinton blamed the coordinated terrorist attack on a YouTube video to the families of the dead and the media rolled over rather than speak truth to power. We’re seething because some of those who died that day might still be alive if help could have reached them in time." Toto doesn't mention that this central narrative has been challenged by one of the key figures involved in the actual incident. 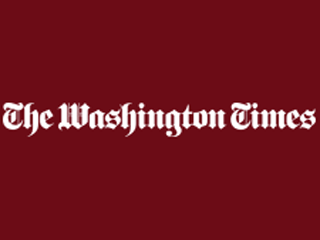 The Washington Post reports that the CIA chief in Benghazi at the time that there was no stand-down order, as the movie claims. This reinforces findings by a Republican-led House committed that came to the same conclusion. Toto also takes care not to mention that as someone who as written for right-wing sites like Breitbart and the Washington Times -- his personal website describes how Andrew Breitbart is an inspiration to him -- he is the target audience for "13 Hours," to the point that the filmmakers are actively courting people like him. Even the film’s Tuesday night premiere, held at AT&T Stadium (home of the Dallas Cowboys), seemed to be aimed at the right. Beyond Bay, star John Krasinski and other castmembers, there were performances by The Band Perry, a country act, and Madison Rising, a patriotic group whose rendition of "The Star-Spangled Banner" closes Dinesh D’Souza’s film America (which clearly targeted conservatives). About 32,000 people attended the premiere, and each was asked to donate $1 to a veteran’s charity with Paramount promising to match the total collected. Guess who was at that premiere? Accuracy in Media. AIM's Roger Aronoff devoted his Jan. 15 column to the flim, lovingly describing how "This week I had the great honor and opportunity to attend the world premiere screening of the new Michael Bay movie, '13 Hours: The Secret Soldiers of Benghazi.'" It was quite the junket, too -- Aronoff points out that "I was there along with other members of the Citizens’ Commission on Benghazi." You remember, the right-wing kangaroo court AIM established a couple years back because it wanted some scalps and didn't care how they got them. Aronoff didn't mention whether the list of commision guests included Wayne Simmons, the commission member who was scrubbed off the AIM website after it was alleged that hehad invented the 27-year CIA career he invoked to get government consultant jobs and get on AIM's little kangaroo court. He also doesn't mention who paid for the kangaroo court to fly from Washington, D.C., area to Dallas for that premiere -- that's no small expense for a shoestring organization like AIM. Aronoff joined the rest of the ConWeb in avoiding any mention that the film's key event is disputed by one of its key participants. There's an agenda to advance, after all. Last weekend, Republican presidential candidates Ted Cruz, Mike Huckabee and Bobby Jindal all spoke at the National Religious Liberties Conference in Iowa, hosted by anti-gay pastor Kevin Swanson. How anti-gay is Swanson? During his wildly ranting speech at the conference, he called for gays to be executed. Swanson also introduced Cruz, Huckabee and Jindal to the stage for their speeches. But if you read the ConWeb, you wouldn't know anything about what happened at this conference. There was some promotion of the speech on the ConWeb beforehand; for instance, it was advertised at WND beforehand -- and, strangely, well after it ended; the above screenshot was taken on Nov. 13. The Media Research Center attempted a little damage control before the event, with both NewsBusters and CNSNews.com highlighting Cruz being asked on CNN if he is “endorsing conservative intolerance” by appearing at the conference. But the MRC would only describe Swanson as an "activist pastor," playing down his well-documented anti-gay history. But after the conference? Nothing. Zip, zilch, nada. No mention at WND, even though WND columnists Jason and David Benham spoke at it and even though WND is enough of fan of Swanson that it sells his books. No clips from the event at CNS, even though managing editor Michael W. Chapman loves posting anti-gay clips. Not a word at NewsBusters, though it did publish a post referencing Jeremiah Wright, who did not avocate the killing of an entire group of people. Even the MRC couldn't be aroused enough to complain about Maddow highlighting the event. Even Accuracy in Media -- home of noted homophobe Cliff Kincaid, who actually supported the proposed "kill the gays" bill in Uganda -- hasn't said a word about Republican candidates lending their support to, and receiving it from, a pastor who supports executing gays. To demonstrate how radioactive Swanson currently is, WND columnist (and noted gay-basher) Michael Brown distanced himself from Swanson and the event -- but not at WND. He penned his distancing at fringe right-wing site BarbWire, run by professional gay-basher Matt Barber. Brown even ran to the defense of the andidates, claiming that "I also feel confident that, had they known in advance what Kevin Swanson, the conference’s chief organizer, planned to say, they would not have attended the rally." The ConWeb's silence on Swanson's hateful remarks , and on Republican presidential candidates who are effectively condoning that hate by appearing with the man who spewed it, tells us the underlying anti-gay nature of the ConWeb. But you knew that already. A few years back, we detailed how conservative newspapers lose massive amounts of money, staying in business only through the good graces of their deep-pocketed benefactors who made their money elsewhere. At the top of that list is the Washington Times, funded as a plaything for self-proclaimed messiah Sun Myung Moon to have entree to conservative Washington circles. Well, last month the Times reported that "it achieved in September the first profitable month in its 33-year history, successfully transforming a traditional money-losing print publication into a leaner multimedia company with diverse revenue streams and a growing national audience." Of course, print publications haven't been "traditionally money-losing" -- only the conservative ones have. The Times plays rather coy about its historic financial situation, admitting that it piled up "losses that far exceeded $1 billion since its inception in 1982" and quoting Times president and CEO Larry Beasley quipping, "I know the owners can’t wait for us to pay them back." Actually, the losses likely surpass $2 billion, a number forwarded by experts a decade ago. And there was never any expectation of a payback. The media landscape has been particularly unforgiving in recent years. Cutbacks, job losses and “newspaper death watches” have been the norm since 2009 as the Internet proved to be a profound game-changer in the news business. The Times went into reinvention mode, but never abandoned its original calling as a credible news source with a conservative backbone. Harper avoids the actual history of the past few years at the Times that had little to do with the overall "media landscape" -- namely, that members of Moon's family got tired of paying the $35 million or so it took to keep the Times in business, setting off a power struggle in the Moon family and its Unification Church-linked business enterprises (not that the Times was actually run like a business, of course) that resulted in the paper being put up for sale in 2010. Ultimately, Moon himself bought the paper for $1. Harper goes on to quote Beasley touting how the Times is "a digital-first business," but its website is so cluttered with ads and browser-clogging pop-ups that it's almost impossible to read. Harper notes that the paper is now only by the nebulously, blandly named Operations Holdings, which appears to be a holding company for the business interests held by Moon himself when he died in 2012, an odd conglomeration of things besides the Times that include a fleet of fishing trawlers, New York's Hammerstein Ballroom and the New York TV studios where Al Jazeera -- longtime target of conservatives like the ones who run the Times for its purported closeness to Islamic terrorists -- has its New York headquarters. Harper also repeatedly notes how "credible" a news source the Times is but she doesn't mention Moon's involvement in the paper until the 19th paragraph -- and she doesn't mention it was Moon's subsidies that kept the newspaper from feeling the effects of the free market it championed for nearly three decades.